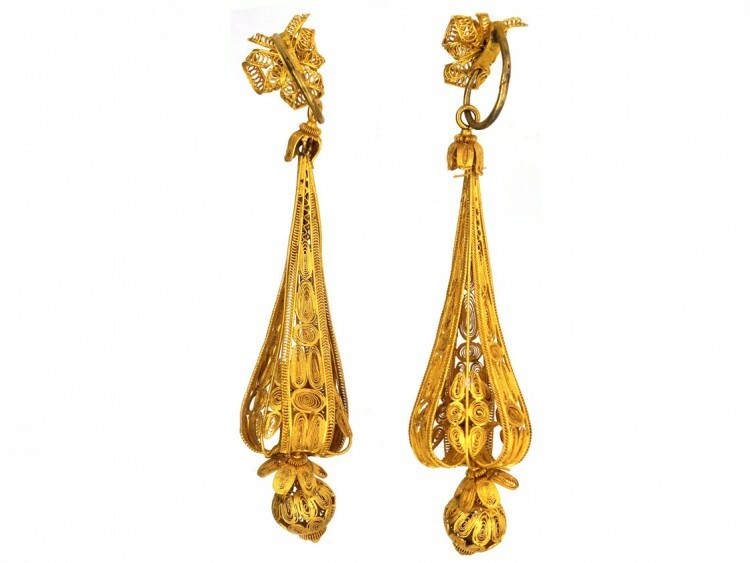 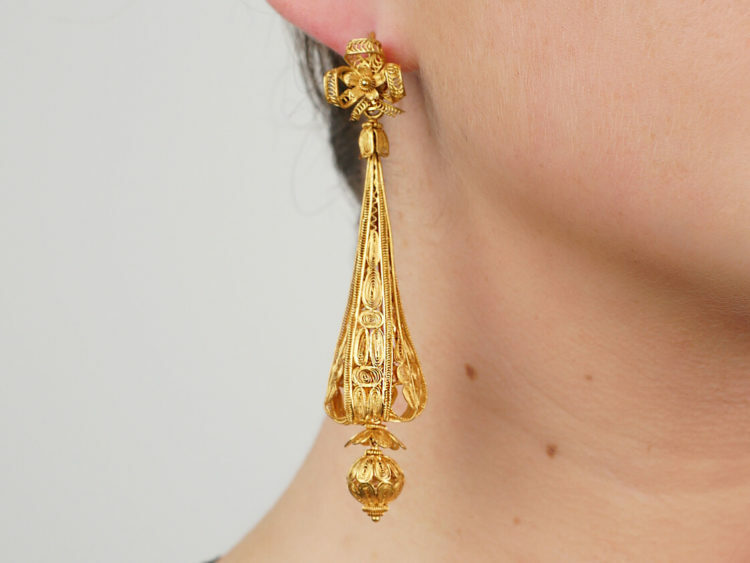 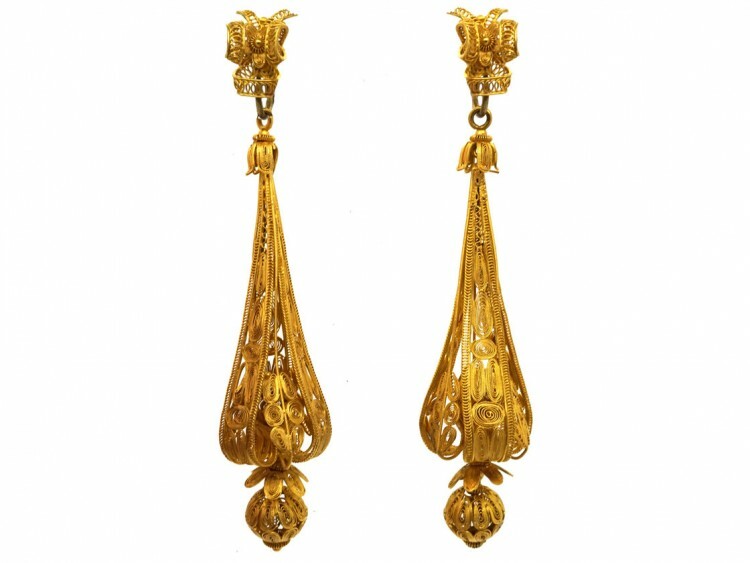 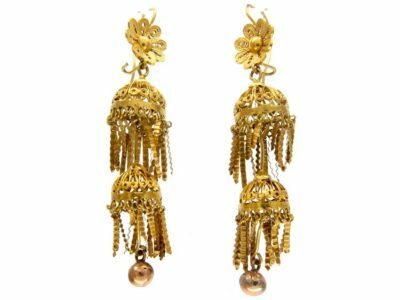 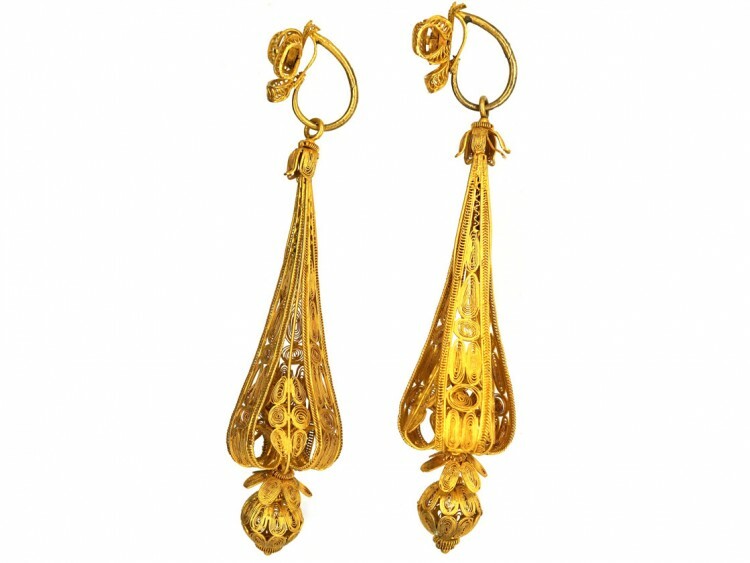 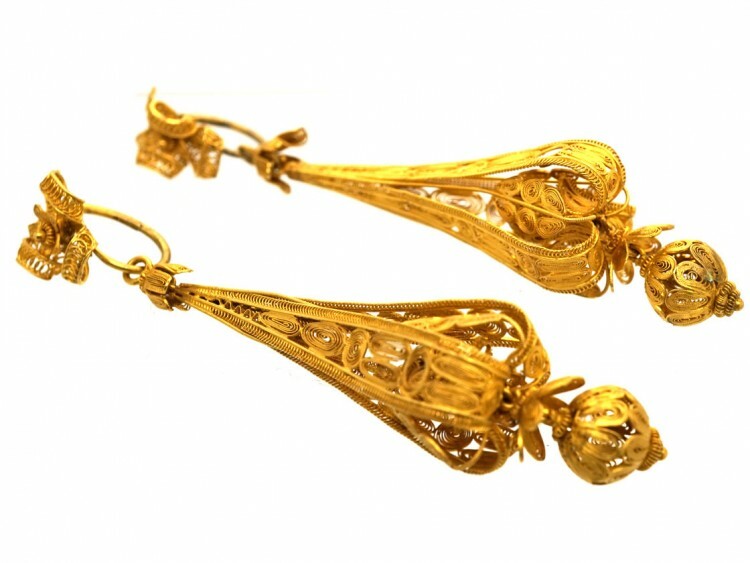 A very fine and long pair of 18ct gold earrings that were made circa 1800-1820. 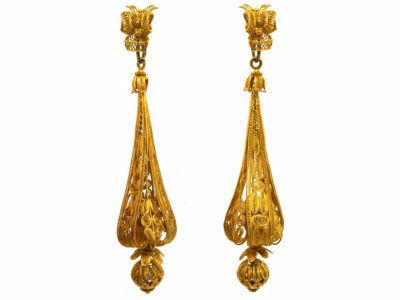 They are beautifully made in a filigree style which is delicate and very hard to create. 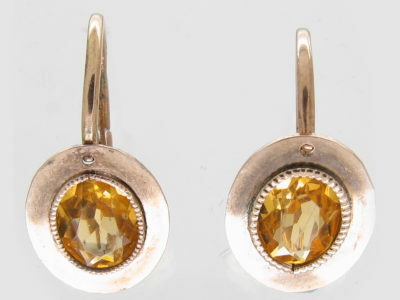 The tops have their original hinge back fittings. 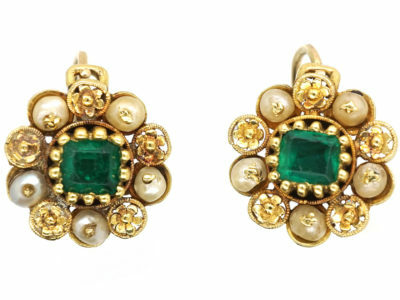 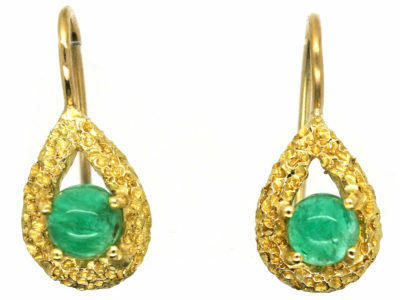 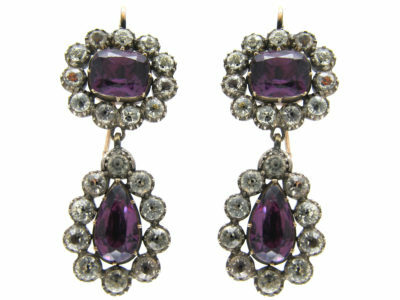 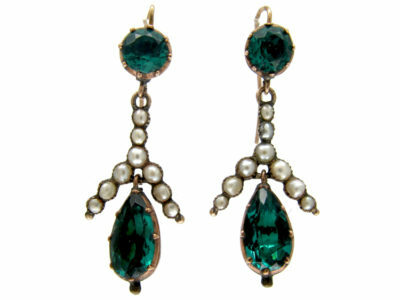 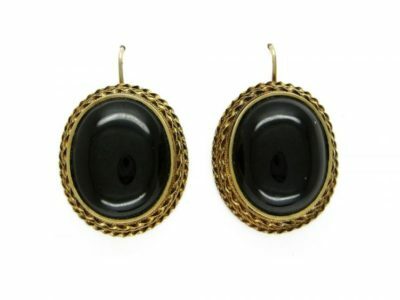 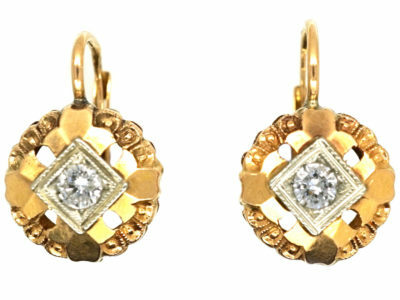 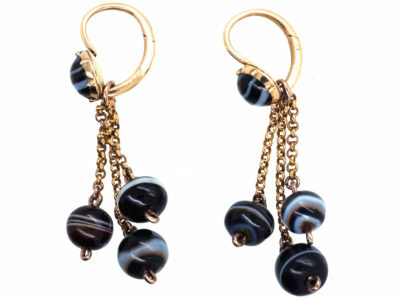 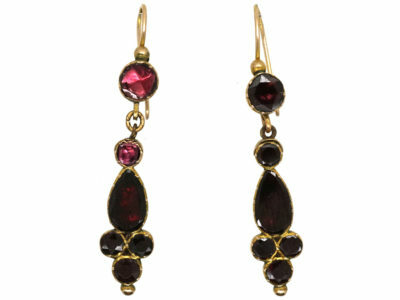 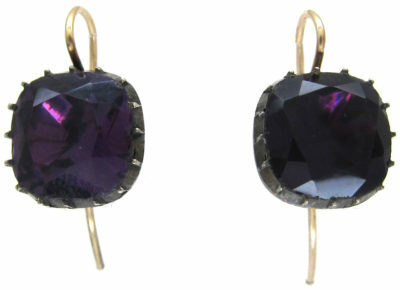 Earrings such as this pair are extremely hard to find in good condition.